"The whole idea is to view ourselves live in 3rd person. A camera will be mounted to ourselves looking at us from behind. 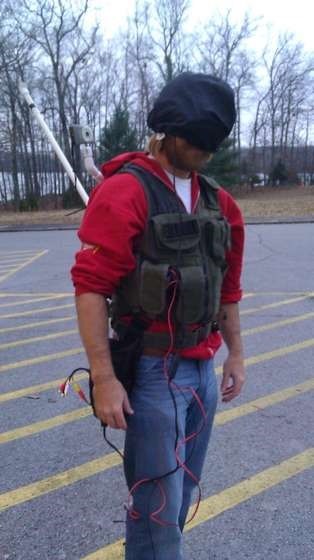 A video goggle setup will then allow us to only see ourselves in 3rd person. We will explore how to make a setup like this for relatively cheap. We'll look at other permutations, such as transmitting the data, using the setup in paintball with a marker mounted camera, and so on."